There's still plenty to enjoy inside during the blustery winter months. Read a Book (or Two): Chilly weather makes winter the perfect time to make progress on the stack of books that has been cluttering your nightstand all summer. What are you waiting for? Check your Goodreads list, curl up fireside and get started! Binge on Netflix: Grab a blanket, some popcorn, and a few of your closest pals and snuggle in for a quiet evening watching the newest blockbuster that you missed in theaters or catching up on your favorite series. Order in: When it’s cold out, it can be tough to muster up the motivation to prepare dinner – especially if you’re already comfortably situated near the hearth. Treat yourself with a glass of wine and have a meal delivered – or put that Crock-Pot to use for an effortless feast. Schedule Game Night: There’s nothing better than a good old-fashioned game night. Invite a few friends over for classic board games, play new favorites like Settlers of Catan and Apples to Apples, or throw up a few folding tables for an intense card tournament. As you can see, there’s no reason to let a little (or a lot) of snow and cold get you down – there’s plenty to keep busy with this winter. 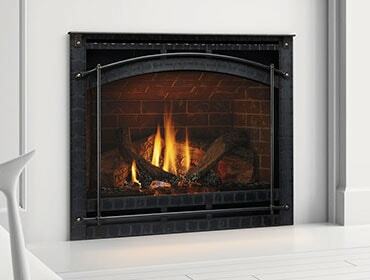 Firing up the fireplace is just the beginning!